A group of committed volunteers lifting the limits for children with hearing or vision loss. 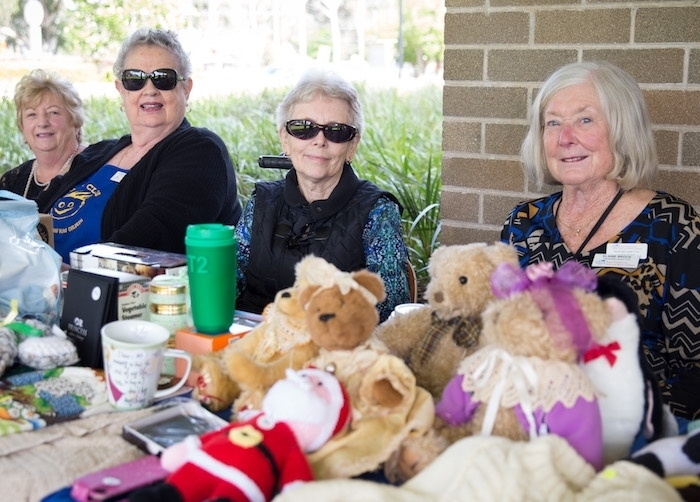 Lantern Clubs are made up of enthusiastic, fun-loving and committed volunteers who fundraise for the Royal Institute for Deaf and Blind Children (RIDBC) through activities that include events, raffles and street stalls. There are more than 14 Lantern Clubs across NSW, with a membership of over 500. Since 1964, they have raised more than $14 million to help support children with a vision or hearing loss. Lantern Clubs aim to create a friendly and social environment whilst also helping lift the limits for children with vision or hearing impairment through vital fundraising. 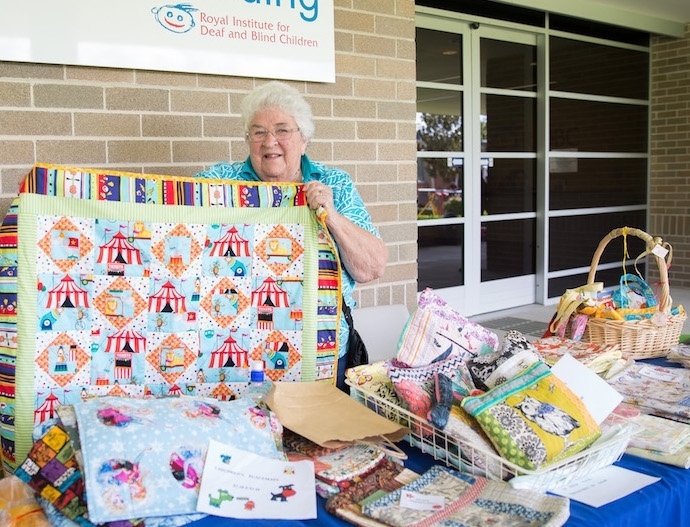 For 53 years, RIDBC Lantern Clubs have fundraised for RIDBC through a variety of fun and creative activities; morning teas, raffles, fashion shows, guest speaker events, market stalls and much more. Lantern Clubs are raising funds and awareness for RIDBC’s Alternative Format Publications (AFP). AFP create tactile and braille resources for children all over Australia – from babies as young as a few weeks old to school students needing textbooks translated into braille to allow them to keep up with their class. This ensures children are not held back by their vision impairment and are able to live a life unlimited. There are 14 clubs across NSW and each club has an Executive Committee including a President, Vice President, Secretary and Treasurer. The clubs meet regularly to discuss their fundraising activities and to have fun and social catch-up’s. Every 6 weeks, the Executive Committee from each club meet at the Central Council and discuss the ongoing activities. There is a Central Council Executive Committee who oversee all Central Council activities including the end of year Annual Combined Luncheon. Our goal is to engage our community with our fundraising activities which help raise awareness for the valuable support and services that RIDBC provide for children with hearing loss. Do you like socialising and being involved in fun and creative activities? Would you like to be a part of an enthusiastic and dedicated group of volunteers? Do you want to make a difference and help lift the limits for children with hearing or vision loss? Then you should join a Lantern Club today! For more information on Lantern Clubs sign up now or contact your nearest Lantern Club. Lantern Clubs are always hosting fun and entertaining fundraising events. We'll see you in the New Year for the list of 2019 events! Lantern Clubs offer members the chance to be enterprising in a fun, social setting, while at the same time, allowing these members to contribute to the important work of RIDBC, Australia’s largest independent special educator. Avoca Beach Lantern Club meets every 4th Wednesday of the month at 1pm at the Waterford Retirement Village, Kincumber Street, Kincumber. Blacktown Lantern Club meets at the Jack Robinson Room, Blacktown Workers Club, Campbell St, Blacktown every 3rd Wednesday of the month at 10:30am. Visitors welcome. Blue Mountains Lantern Club meets at Springwood Sports Club, 83 Macquarie Road, Springwood every 3rd Thursday of the month at 11.00 am. Visitors welcome. Camden Haven Lantern Club meets at Laurieton United Services Club, Laurieton Street, Laurieton every 4th Wednesday of the month at 1:30pm. Visitors welcome. Cronulla Lantern Club meets at Hammondgrove, Bellingara Rd, Miranda every 1st Monday of the month at 1:30pm. Visitors welcome. Far South Coast Lantern Club meets at Bayswater Resort, Princes Hwy, Batemans Bay every 3rd Wednesdayof the month at 11am. Visitors welcome. Forster Tuncurry Lantern Club meets at CWA Rooms, Little Street, Forster every 2nd Thursday of the month at 1:30pm. Visitors welcome. Goulburn Lantern Club meets at Centretown Lagoon Motel, 77 Lagoon Street, Goulburn every 2nd Friday of the month at 11am. Visitors welcome. Hornsby Lantern Club meets at Leisure and Learning Centre, 8 Warne St, Pennant Hills every 3rd Wednesday of the month at 10:30am. Visitors welcome. Maitland Lantern Club meets at East Maitland Bowling Club, Bank Street, East Maitland every 1st Tuesday of the month at 10:30am. Visitors welcome. Established in 1964, Mosman was one of the first Lantern Clubs. It closed down in 1992, and was started again in 2000. Mosman Lantern Club meets at 3/14 Esther Road, Mosman or 16/67 Bradleys Head Rd, Mosman every 2nd Wednesday of the month at 10:30am. Visitors welcome. Established in 1964, Parramatta is one of the first Lantern Clubs. Parramatta Lantern Club meets at RIDBC North Rocks every 1st Wednesday of the month at 1pm. Visitors welcome. Ryde Lantern Club meets at St Anne’s Centre, Church Street, Top Ryde every 3rd Monday of the month at 10am. Visitors welcome. Warringah Lantern Club meets at Dee Why RSL Club, 932 Pittwater Road, Dee Why every 2nd Thursday of the month at 10:30am. Visitors welcome.